Do you love tasty, easy to prepare, family-friendly food? Do you want tips to create a well-lived life? Do you want to create a nurturing and welcoming home? Occasionally, I'll be sending exclusive content to my Just One Donna email community. You'll get exclusive updates, recipes, and tips as a community member. 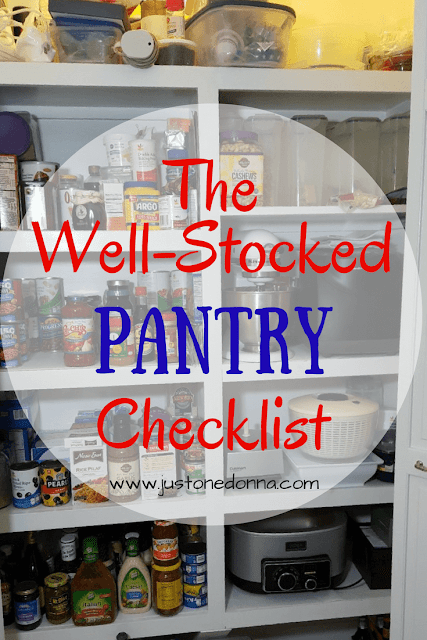 When you sign up, I'll send you my Free Well-Stocked Pantry Checklist. Just click "Count Me In" below.